I bought my Xenia about 2 weeks ago and i havent noticed any growth in it. i have been feeding it zooplankton and giving it sufficient light. how long before i notice a growth? Also, how can i speed up my coraline growth in my tank. i am already using purple up. We will need more info. Tanks Size, Tank Parameters, Type of Lighting, Power of Lighting, Location of Xenia in the tank, Low flow area, high flow area?, What else is in your tank? 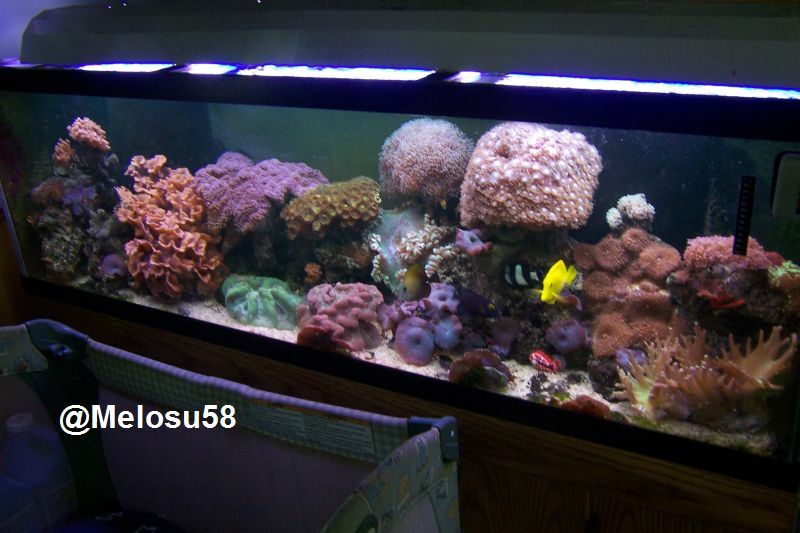 As for the Xenia's, I put mine it, and noticed growth within a couple of weeks. I am runnin 4wpg, and have a very stable tank. As for coraline, You need to have your tank parameters PERFECT before you will starting noticing coraline growth, Once it starts, as long as you keep your tank stable with all the right parameters, it will begin to grow pretty rapidly. What's your magnesium level? What's your Calcium level? PH? dKH? Purple up is NOT the cure all for coraline algae as some think. I too purchased purple up thinking it would help, but it didn't untill I found out WHY my coraline wasn't growing. I was low on magnesium, thus no matter how much calcium or purple up I added, nothing would happen, but as soon as I got my magnesium up, my tank just blew up with coraline, and my calcium stays right were it is suppose to be. Answer those questions, and we will be able to help a little more! I went through the same thing with my tank. As soon as I brought up the magnesium level, the coraline exploded. Now I can't keep it off the front glass. When your xenia start to take off, you better watch out, LOL. I wished for the same, now I have a bunch of it. Make sure you keep plenty of LR rubble ready to capture the new xenias. They move around like crazy. When your xenia start to take off, you better watch out, LOL. I was going to say you better watch what you wish for. Once it takes off it will take over your tank. As far as the corraline , How often are you doing PWC`s? What are your calcium readings and alkalinity readings? Do you already have some LR in your tank with coralline on it for seeding purposes?